If your pet is having a minor surgical or diagnostic procedure performed we sometimes use a local anesthetic to help control pain. For example, when we perform a biopsy (in which a small portion of tissue is surgically removed so it can be examined), we often use a local anesthetic. 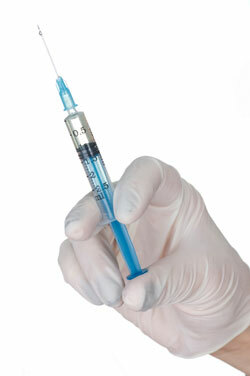 Local anesthetics cause a loss of sensation in the area where the procedure is being performed. We sometimes use a sedative and/or anxiolytic (anti-anxiety medication) in combination with the local anesthetic to keep pets calm during a procedure. Please contact our veterinary hospital if you have any questions or concerns about your pet receiving local anesthesia or about the procedure for which your pet is scheduled.